The temple was originally founded during the reign of King Munmu. Much of the temple was destroyed by a fire in 2005 but has been restored fantastically. There are however some things which remained unharmed by the fire such as a stone arch built in 1467 during the reign of King Sejo. The main building at the temple has ornate statues inside. The bronze bell on-site dates back to 1469. Despite the rain we had a lovely time strolling around the temple grounds and taking in the sights. It's by far one of the more picturesque temples I have visited in Korea thus far. This seven-story pagoda was said to be constructed during the reign of King Sejo also. Sadly I can't tell you what this dude does but he had three friends who were all equally intimidating. The temple is positioned in spacious grounds. You can wander around the gardens and up the hillside where you can take in the beautiful ocean views. If you make the trip to the east coast I would highly recommend making a visit to this Temple. It is free of charge to enter and is open from sunrise to sunset. The temple also runs a 'Temple Stay' program which you can find more information about via the Templestay website. So now you've seen the pictures and quite a lot of them for that matter maybe you'll want to go see it in person with your own eyes. How to get to Naksan Temple. From either the Yangyang or the Sokcho intercity bus terminals, take bus no. 9 or 9-1 and get off at Naksansa. It takes about 10 minutes from Yangyang. It's longer from Sokcho. If you're going by car then you need to take the road number 7 from Yangyang to Naksan Beach. You will see sign posts. 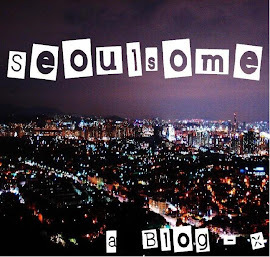 For more about the east coast and awesome places to eat, drink, shop and see in Korea visit... ..Seoulsome! So glad I stumbled upon your blog tonight!! My husband and I have lived in Korea for 9 months and we are always looking for new things to do. Looking forward to following your blog.